This die marriage is said to have somewhere around 200 survivors, with many making appearances in higher grade. 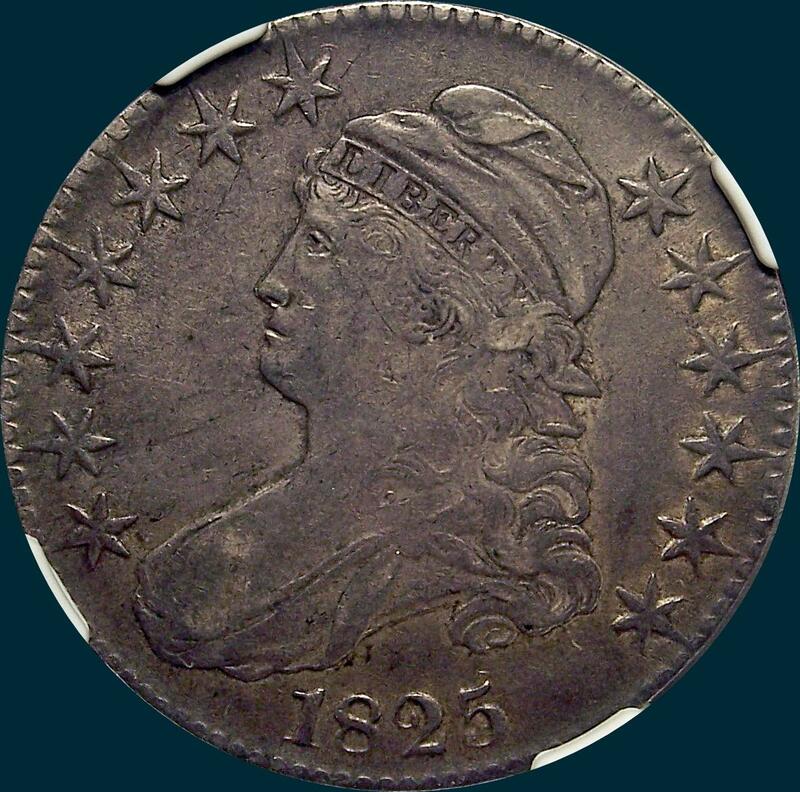 The obverse strike is typically weak, with a well struck example being the exception (an NGC MS66 fitting that description). NGC Graded XF45. Nice original example with plentiful toned luster. This one has claims to AU, but the strike and rich toning hold it back. Variety Attribution: Obverse-Stars 1, 8, 13 all about 1/2 mm. from drapery, cap and curl. Date is 8 mm., and evenly spaced. Reverse- 50C is 1 3/4 mm. Arrow to A is 3/4 mm. I is centered under left side of T. No center dot but a vertical like at left end of the upper five crossbars. In addition to the joined ED and AM, ME are very close and M is higher. 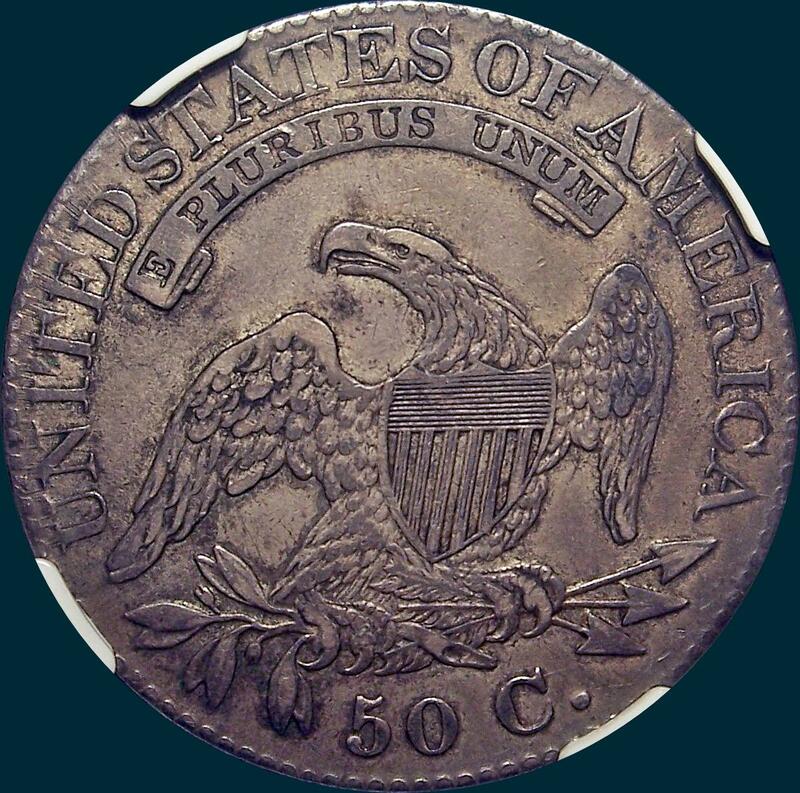 This same reverse used in 1824 (O-116).